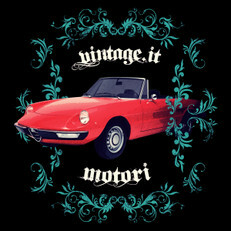 Alfa Romeo Duetto. It's definitely one of the most famous cars of the Alfa Romeo. It started to be manufactured in the 1966. The Spider becomes a "star" with the famous movie "The Graduate" in 1967, with Anne Bancroft and Dustin Hoffman. Get the T-Shirt and have a tour!